With electrical outlets and devices all around us that generally work without a hitch, it’s easy to overlook this simple fact: The electricity that powers almost every single appliance we use is more than enough to be fatal, if it passes through your body the right way and under the right circumstances. Electrocution can occur in the home, the workplace, and anywhere else there are shoddy electrical products; there has been the negligent installation and maintenance of electrical infrastructure; or there are downed power lines. Read on to learn more about electric shock injuries and what your options are if your or a loved one were the victim of this serious injury. People are most at risk of electrocution at home and work, given that is where they spend most of their time and that’s where the greatest exposure is generally. In the home, appliances such as toasters can be a source of electric shock, but even more of a risk is wiring — for example, if your electrician hasn’t followed standard procedures for safe and effective installations. In the workplace, an electrical shock is one of the most common types of injuries in the workplace, responsible for 8 percent of the annual deaths in construction, one of the most dangerous lines of work in the country, according to the U.S. Occupational Safety and Health Administration. Electricians are naturally another type of worker at risk. How Do Electric Shock Injuries Occur? Electricity travels through a conductor in a closed circuit, and an electrical shock occurs when a person’s body becomes part of that circuit, according to OSHA. (Our bodies are naturally efficient conductors.) To complete the electrical path, a person must be somehow touching both wires of an electric circuit, one wire of an energized circuit and the ground, a metal part of of a piece of equipment or device that is accidentally electrified, or some other type of conductor carrying an electrical current. The most common way for workers to receive an electric shock is through contact with an overhead power line, according to OSHA. This typically occurs when a worker touches equipment that is accidentally energized such as ladders, tools, or vehicles. However, improperly installed machinery and old or compromised power tools that are defective or improperly maintained are responsible for many electric shock injuries, OSHA says. The second most common injury sustained from an electric shock is fall related. When a person comes into contact with live electricity, their muscles will often contract violently. Sometimes a person will lose their balance or actually be thrown away from the source of the shock by their own body. This can result in head trauma, back and neck injuries, and cuts and abrasions. What Kind of Injuries Result from Electric Shock? When a person’s body is energized, the degree of harm has a broad range. Depending on the voltage, the length of time the electricity is running through the body, and a host of other factors involving the charge’s path, an electrical shock can cause any number of progressive symptoms and injuries: uncomfortable tingling sensation, difficulty breathing, confusion, loss of consciousness, severe burns, and even cardiac arrest, according to the Mayo Clinic. However, burns are the most common injury from electric shock, OSHA states. If your body comes in contact with live electricity, you can receive an electrical burn, an arc burn, a thermal contact burn or any combination of them. 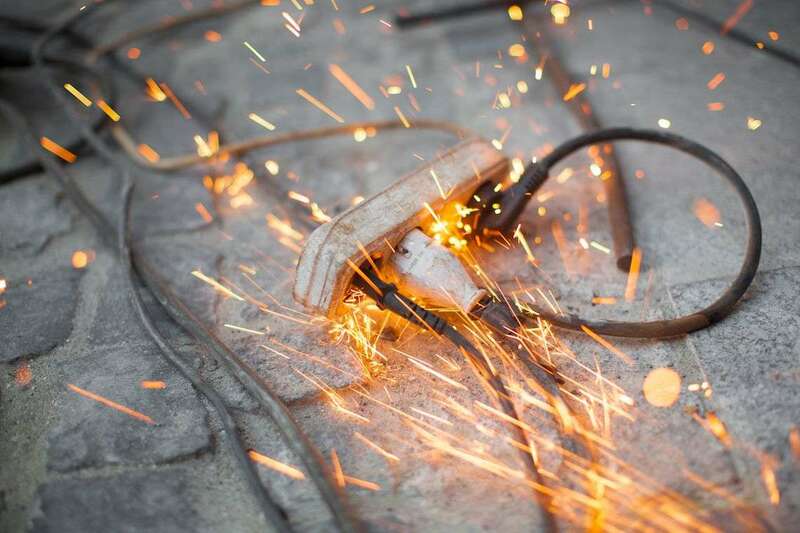 OSHA states that electrical burns are among the most serious burns and require immediate medical attention. These types of burns occur when high voltage passes through bones, organs, and tissue. This can cause severe tissue damage and even death. The seriousness of an electrical injury depends on several factors. Typically, the higher the voltage, the higher the risk of injury. However, in addition to the length of the exposure and the path the electricity takes when it enters the body, the effectiveness of personal protective safety gear, such as gloves and shoes, can have an impact on the severity of the injury as well. Even if the victim isn’t energized anymore, don’t move them. Whether someone is electrocuted at home or in the workplace, a serious electric shock injury could pose challenges beyond the injury itself. There are medical bills and lost wages that can have a serious, and even long-term, impact on the quality of life for a victim and their family. What if your injury is the result of the negligence of another party — what if they didn’t take all the precautions and follow all the regulations as they should have? Then you could be entitled to compensation not just for economic damages like medical bills and lost wages, but also for noneconomic damages like pain and suffering and emotional stress. Our personal injury lawyers at Morgan & Morgan have decades of experience fighting for victims of negligence. They have secured millions of dollars in settlements and jury verdicts for clients, helping them to try to get their lives back on track. Contact our firm for a free case evaluation today to learn if you’re entitled to pursue compensation.